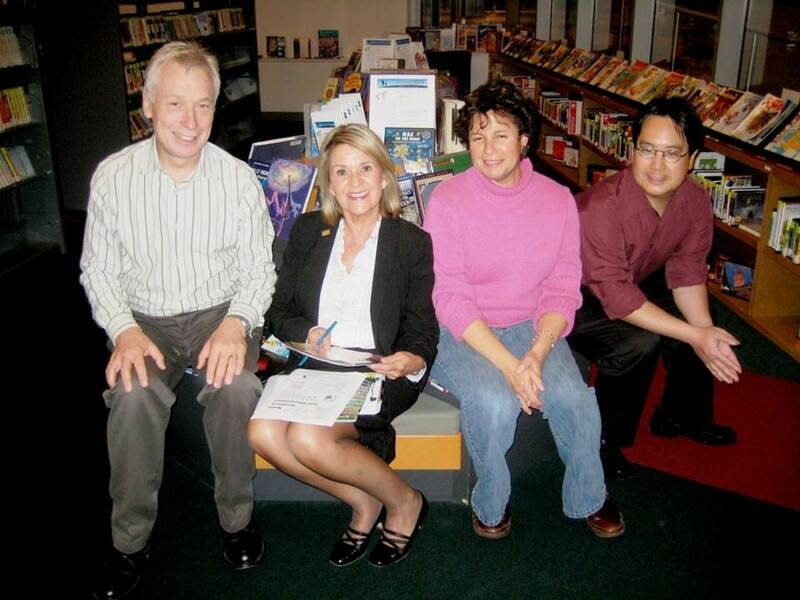 This post offers a brief history of the Social Workers in the Library program at San José Public Library, started by Deborah Estreicher, Peter Lee, Glenn Thomas, and Cyndy Thomas. The program brings volunteer social workers into the library for free 20-minute referrals. Members of the National Association of Social Workers, California Chapter staff the program. Having worked a couple of decades as a public librarian and encountered many individuals requesting information connected to local sources of social services, I thought how good it would be if we could have social workers on site (who worked in those agencies) dispensing information /referral and advice to our customers, as ProBono attorneys do through our Lawyers in the Library program. Since King Library is on the campus of SJSU, I called the School of Social Work, spoke to Professor Peter A. Lee, who thought a fine partnership might be had, and the rest is history. Peter advertised and found Kristine Chavez, a graduate student who was interested in the possibilities of such a program. With Peter’s guidance, she produced a needs assessment, translated it into Spanish, organized other students to work with her and conducted the assessment on both public and university entrances of the library. After it was determined that a need was there, Peter contacted Glenn and Cyndy, from the National Association of Social Workers – No. Calif.. Chapter, and the Social Workers in the Library began operation in October of 2009. If not for the interest and enthusiasm of all 3 of these participants…Peter, Glenn and Cyndy, and the support of both San José Public and San José State University Library leadership, SWITL would never have come to be. Professor Lili Luo later joined the team, bringing SWITL international recognition through Libraries 2.011 and the QQML2012 conference, in Ireland. Deborah Estreicher is a librarian at Dr. Martin Luther King, Jr Library, a joint city public library and university library in San José. She has worked with many outreach programs for the public library. Thank you for the photo of this group from the Dr. Martin Luther King Library in San Jose. I am both a SLIS student and employee at the MLKL so it’s great to see these familiar faces. Deborah Estreicher has been quite helpful in providing important contacts for my research papers on libraries and homeless populations. Yes, I agree that this project is an excellent example of how the participants worked together from the beginning to build a shared sense of commitment to the project. I’ve been reading a lot about information literacy (IL) sessions taught by academic librarians, and the prime complaint by librarians is that neither faculty nor students really are invested in these sessions. The librarians who have success stories about IL programs have talked about the extensive groundwork of building the curriculum of IL and making sure faculty are involved in all aspects of the design.